The major networks recently did some drastic housecleaning but clearly they were just making room for more programming (much to the chagrin of some fans). Now, we can take a look at Fox's fall schedule and see when our favorites TV shows, old and new, will be available for our viewing pleasure. The one we X-Philes, and "Sleepy Hollow" and "Gotham" fans have been waiting for is the Fox schedule and now it's available thanks this press release. In addition to the new "The X-Files" mini season, Fox continues to provide us with a plethora of paranormal pop culture including the new shows, "Scream Queens," "The Frankenstein Code" and "Lucifer." Tuesdays are all-new this fall on FOX, with new comedies GRANDFATHERED and THE GRINDER, followed by killer comedy-horror series SCREAM QUEENS. The new comedies kicking off an all-new Tuesday are GRANDFATHERED and THE GRINDER. A comedy about coming of age – at any age – GRANDFATHERED stars John Stamos (“Full House,” “ER”) as the ultimate bachelor whose life is turned upside down when he discovers he’s not only a father, but a grandfather. THE GRINDER, starring Emmy Award nominee Rob Lowe (“Parks and Recreation,” “The West Wing”) and Emmy Award and Golden Globe Award nominee Fred Savage (“The Wonder Years”), follows a famous TV lawyer (Lowe) who, after his hit series, “The Grinder,” is canceled, moves back home and joins his brother (Savage) at their family’s real-life law firm – despite having no formal education, no bar certification, no license to practice and no experience in an actual courtroom. In 2016, additional new series joining the schedule include devilish drama LUCIFER and modern gothic action series THE FRANKENSTEIN CODE; and two comedies, THE GUIDE TO SURVIVING LIFE and animated BORDERTOWN. BORDERTOWN (new), THE FRANKENSTEIN CODE (new), THE GUIDE TO SURVIVING LIFE (new), LUCIFER (new) and THE X-FILES (new) join the schedule in 2016, as do returning series AMERICAN IDOL XV, BOB’S BURGERS, HELL’S KITCHEN and NEW GIRL, among others. Which shows are you most excited to watch? 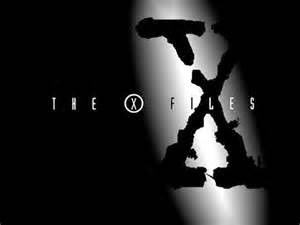 Obviously "The X-Files" is my pick but I'm quite pleased for the fans of "Sleepy Hollow" and "Gotham" that these shows will be returning. "Lucifer" intrigues me and I'm excited to see how "Scream Queens" fares. We'll keep you posted on any new details or changes. Click here for the complete release.